A replacement for the former Chargers Blood Drive was announced Tuesday by the San Diego Blood Bank. 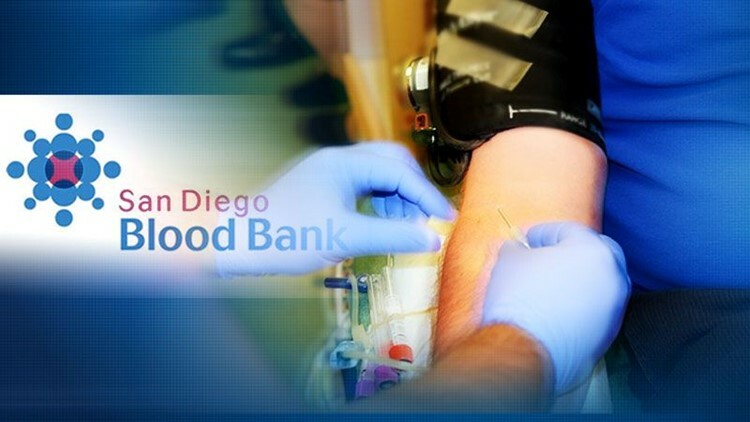 SAN DIEGO (CNS) - A replacement for the former Chargers Blood Drive was announced Tuesday by the San Diego Blood Bank. "San Diego Cares: It's in Our Blood" will take place on Saturday, Dec. 16, at the Town & Country Convention Center in Mission Valley. The Chargers Blood Drive was a pre-Thanksgiving community fixture for 38 years, resulting in the donation of more than 74,000 pints of blood. It was by far the biggest annual collection event for the blood bank, and came at a critical time entering the holidays, when the donation rate traditionally dips. With the Chargers picking up stakes for Los Angeles, a replacement event was needed. "When the Chargers announced they were leaving, we were immediately contacted by the Padres, the Gulls, the Holiday Bowl, among other community leaders, who have all committed to continuing this iconic San Diego event," said David Wellis, the blood bank's CEO. "In addition, there was a desire to transform it into something that brings together even more of the San Diego community in a new way, while maintaining a local sports theme, and still focusing on the need for blood during the holidays." Former Chargers placekicker Rolf Benirschke made the announcement at the inaugural Padres Summer Blood Drive, held at Petco Park. Around 300 pints were collected. It was on Benirschke's behalf that the Chargers Blood Drive was born. When the popular player developed ulcerative colitis and underwent two surgeries that required about 80 pints of blood, team executives called the blood bank and asked if they could collect donations. The next day, about 1,000 fans showed up at the stadium and donated nearly 300 pints of blood.